The House Oversight Committee is expected to speak to Pasquale “Nino” Perrotta. As investigations into alleged ethical misconduct at the Environmental Protection Agency heat up, two high-ranking aides to administrator Scott Pruitt have abruptly left their jobs this week. Democrats have raised questions about spending and security decisions made by the head of Pruitt's security team, Nino Perrotta, as well as about the professional background of Albert Kelly, a senior advisor to Pruitt who he put in charge of a task force on the agency's Superfund sites. Perrotta is expected to be questioned by the House Oversight Committee Wednesday. Rep. Don Beyer, D-Va., who has raised questions about both Kelly and Perrotta, said in a statement that the departures show the extent of the problems at EPA. “Scott Pruitt should be the next to go. The exodus of Pruitt’s closest aides shows just how toxic his reign at EPA has become," Beyer said in a statement. The EPA did not respond to multiple requests for comment from ABC News. The agency confirmed that Perrotta and Kelly both left the agency this week in statements to multiple news outlets. In a congressional hearing last week, Rep. Scott Peters, D-Calif., asked Pruitt if he would order Kelly to testify before Congress after he canceled a previous appearance. Peters said he wanted Kelly to answer questions about the Federal Deposit Insurance Corporation (FDIC) banning him from the banking industry. Other Democrats have asked the EPA to answer questions about whether Kelly’s banking background was considered when he was vetted for the position. Kelly signed a consent decree with the FDIC, an independent agency that regulates the financial industry, in August, that said he would be banned from work in banking for life, according to The Oklahoman and other news outlets. That agreement was signed three months after he was announced as the head of the EPA's superfund task force, according to a press release. Pruitt said in the hearing that he thinks Kelly should answer questions from Congress. Peters also referenced reports that Kelly owns property adjacent to a Superfund site in Oklahoma and said he wants to know if EPA ethics officials reviewed that as a possible conflict of interest. E&E News reported last year that Kelly, who was put in charge of an effort to streamline the Superfund program, has personal experience with the contaminated sites because there is one in his hometown and close to land owned by his family. The New York Times also reported that Kelly had financial dealings with Pruitt when they were both living and working in Oklahoma. Kelly did not respond to request for comment from ABC News. His resignation was first reported by Axios. Perrotta is a former Secret Service agent whose career in law enforcement included a stint investigating the Gambino crime family for the Bronx district attorney in New York City, led Pruitt’s 24-hour security detail, putting him at the center of several of the ethics and spending episodes under review by the EPA inspector general and congressional investigators. 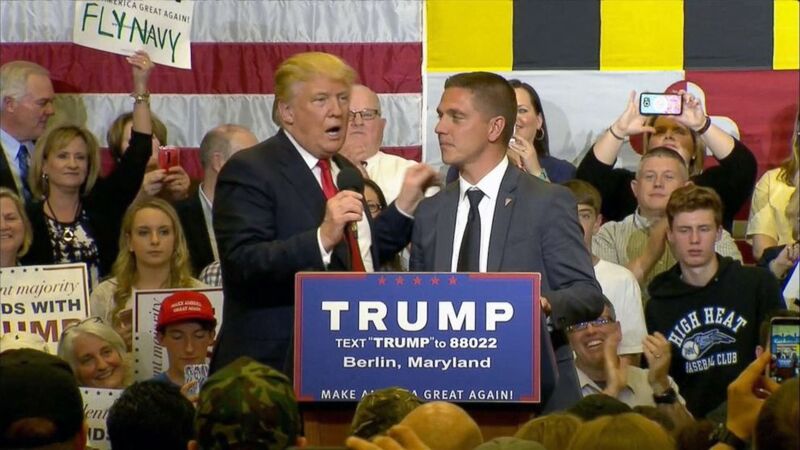 In a phone interview Tuesday morning, Perrotta, who said he left his job at the EPA Monday, said he plans to "fully cooperate and answer any and all questions" from Congress, starting with the transcribed interview with the House Oversight Committee Wednesday. "All of this press is taking a toll on my family. I decided to move on and it’s been an honor to serve," he said. The New York Times previously reported that Perrotta planned to retire from EPA this summer. An EPA spokesman declined to comment on the transcribed interview and did not respond to repeated requests for comment on Perrotta's departure. (AP) Environmental Protection Agency Administrator Scott Pruitt leaves after testifying before the House Energy and Commerce subcommittee hearing on Capitol Hill in Washington, Thursday, April 26, 2018. 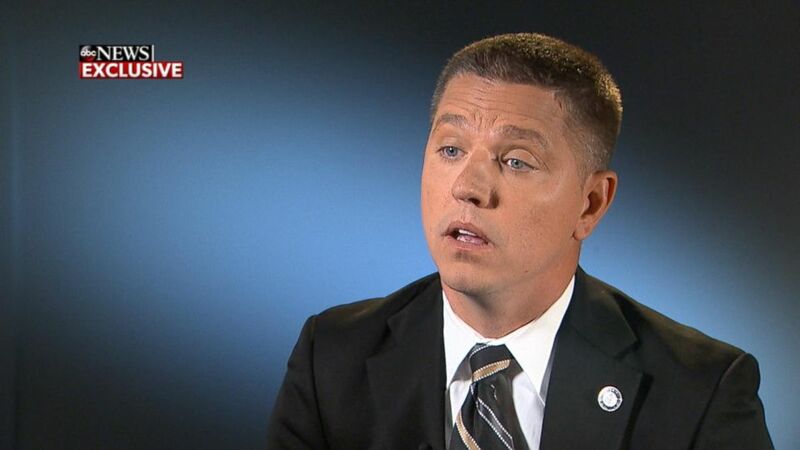 In an exclusive interview with ABC News, former EPA Deputy Chief of Staff Kevin Chmielewski, a whistleblower who said he was forced out of the agency after raising concerns about travel and security spending, said Perrotta threatened to come to his home to take away his EPA parking pass, and worked to discredit him for questioning Pruitt’s spending on travel and security. Senate Democrats also recently said in a letter that Chmielewski told them Perrotta hired Italian security guards to protect Pruitt on a trip to Italy in June 2017. Private Italian security guards hired by Perrotta helped arrange an expansive motorcade for Pruitt and his entourage, according to the EPA official with direct knowledge of the trip. The source described the Italian additions as a personal friend of Perrotta, who joined Pruitt and his EPA staff for an hours-long dinner at an upscale restaurant. Democrats have also raised questions about Perrotta’s potential role in the awarding of an EPA security contract. 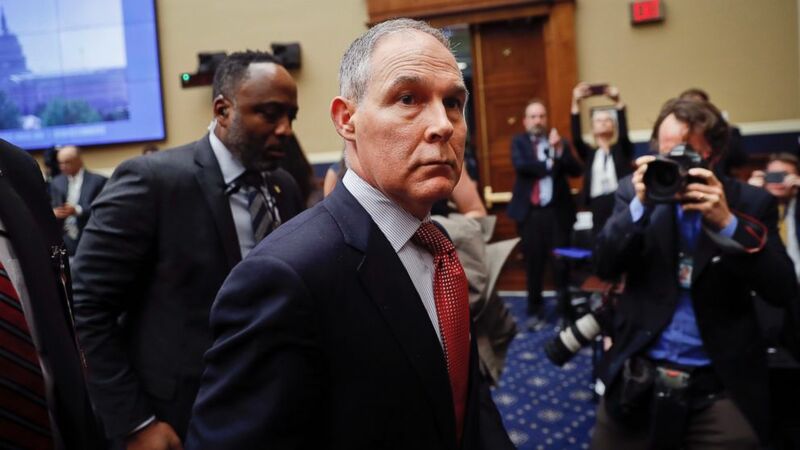 Edwin Steinmetz, his business partner at Sequoia Security Group -- the Maryland security firm where he is a partner –- received a contract to sweep Pruitt’s office for listening devices, according to The Associated Press. In the phone interview Tuesday, Perrotta denied ever threatening Chmielewski when asking for his EPA parking pass. "There was no threat made on the phone at all," he said, adding that the exchange was memorialized in written form and that another EPA agent and a White House official were on the phone as well. He also said there is "no truth" to concerns that he improperly steered an EPA security contract to a business associate. Steinmetz also told ABC on Tuesday that there was nothing improper about the contract and Perrotta is "probably one of the most honest folks I've met in Washington. He said much of the criticism is just "political BS." "If there was something legitimate here I understand it, but having worked for both sides I see the hypocrisy here," Steinmetz said. In an appearance on CBS News' "Face the Nation" Sunday, House Oversight Committee Chairman Trey Gowdy, R-S.C., whose staff has already interviewed Chmielewski, confirmed that the committee is scheduling transcribed interviews with Perrotta and a number of top Pruitt aides after requesting them in a letter to the EPA last month. Late last week the committee also received more than 1,000 pages of documents related to Pruitt's first-class travel, trips to Italy and Morocco and controversial condo rental agreement. "We're going to do it the way I'm used to doing it -- gather the documents, interview the witnesses and then share it at the appropriate time," Gowdy said Sunday.